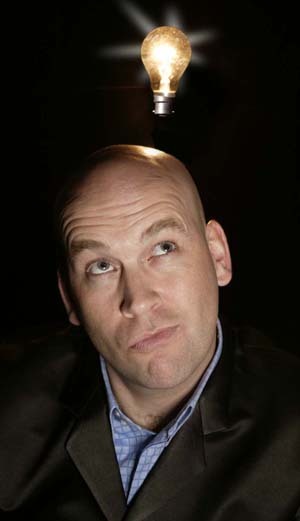 Wanting to explore other avenues and experience new challenges, in 2001 he joined the UK comedy circuit, where he is now found closing the show at all the major comedy clubs such as 'Jongleurs Comedy Clubs', 'The Comedy Club', 'The Glee Club' & 'The Banana Comedy Club'. Phil has also had the great honor of performing for our British troops in Iraq and more recently Afghanistan. Dipping his toe into an acting career he had a cameo role in BBCs 'Hotel Babylon' and a TV advert for the AA. He is currently producing and hosting a Podcast called 'THE GREEN ROOM' which is recorded backstage on the comedy circuit with interviews and clips of the show. It's a free podcast available at www.philbutler.co.uk or on itunes. Phil is looking forward to the online release of his 21st anniversary DVD toward the end of this year.